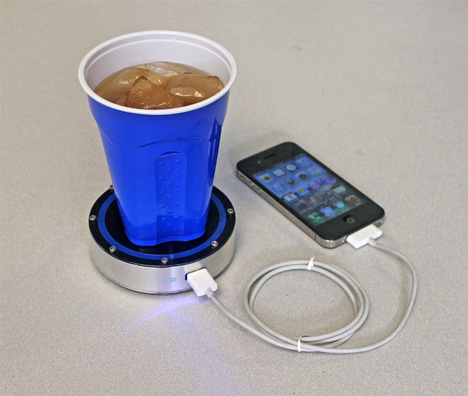 The Epiphany onE Puck is a compact gadget that ensures you will never have to deal with a dead phone battery again – as long as you have a hot or cold drink handy. The device, roughly the size and shape of a hockey puck, is a small Stirling engine. This type of engine generates energy from temperature differences, and it’s been in use since the early 1800s. Modern technology has made it possible for the Stirling engine to power new devices in new ways. 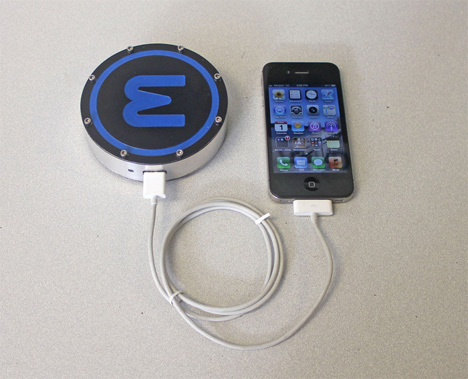 The onE Puck is efficient enough to completely charge a mobile phone, iPod or any other USB-charged device that draws 1000 mA or less. 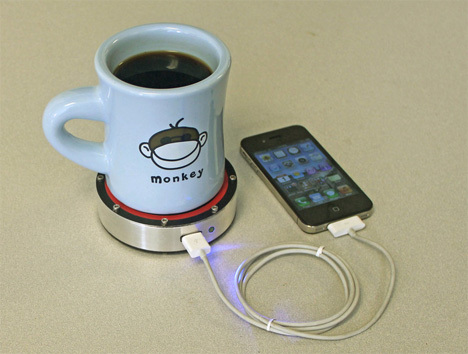 The onE Puck works when you place a hot beverage on the red side or a cold beverage on the blue side. 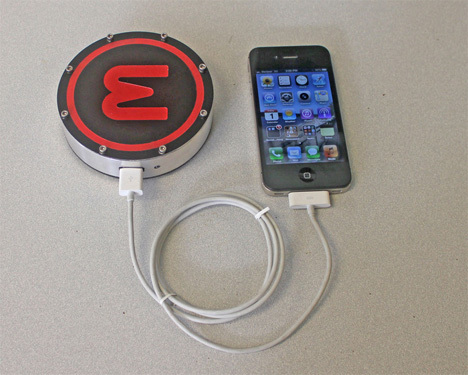 The gadget makes it possible to keep a full battery even when you’re away from home or in a foreign country where your phone’s charger won’t work with the outlets. The Epiphany onE Puck is raising funds on Kickstarter. As of the time of writing, the project has already reached its goal but backers can still get a onE Puck, an Epiphany tee shirt and a sticker for $115. See more in Energy & Power or under Science. February, 2013.